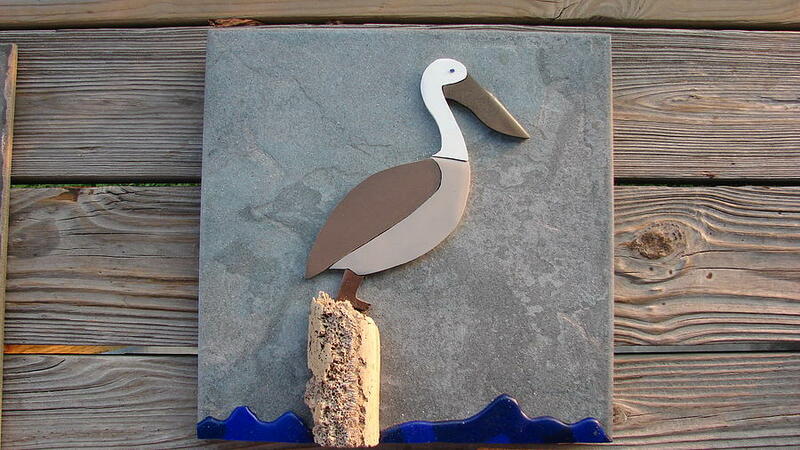 Pelican Day is a mixed media by R Gentry which was uploaded on January 15th, 2010. This form of opus sectile is original. I don't know anyone else that is working in this form. Opus Sectile is an old form that was used by the romans on their most prized floors walls etc. If you interested in this type of work let me know. I love the colors and textures of it. A familiar image for me living by the water. Beautiful work. Jorge.